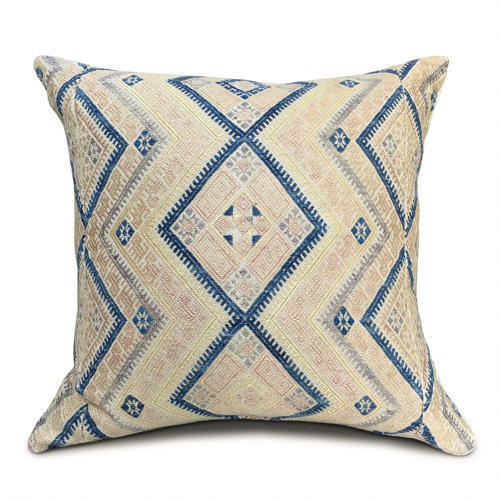 These cushions have been made from an early Zhuang wedding blanket in cotton and silk with the iconic diamond pattern. The cushions read as yellow mainly, with yellow and blush silk with faded blue and grey cotton zig zags. They are backed with vintage hemp and have zip closure and feather pads.